Can I change the chat background? 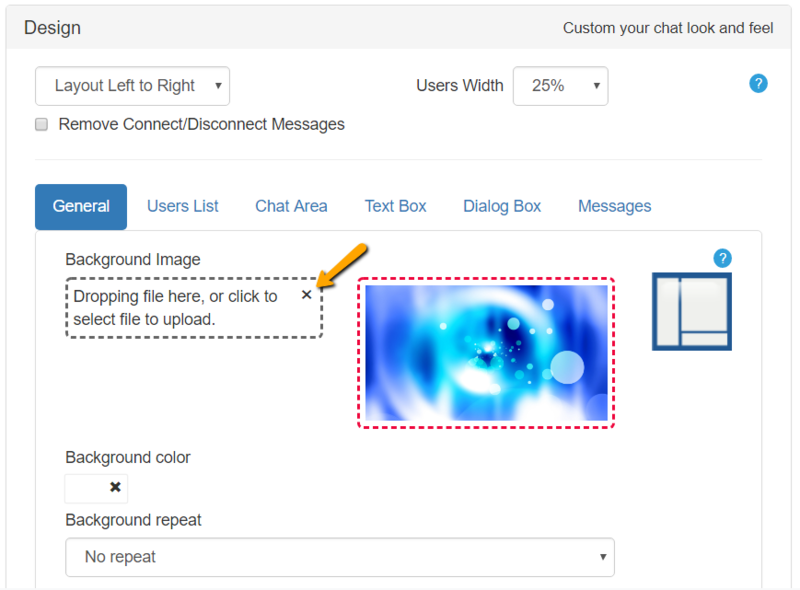 Yes, using the admin panel it is easy to set a custom color or image as the group chat background. To remove the current background image, click on the small x in the background image square. Previous postCan I resize the chat? Next postCan I customize the appearance of my group chat room?